What are the key themes for property in 2017? 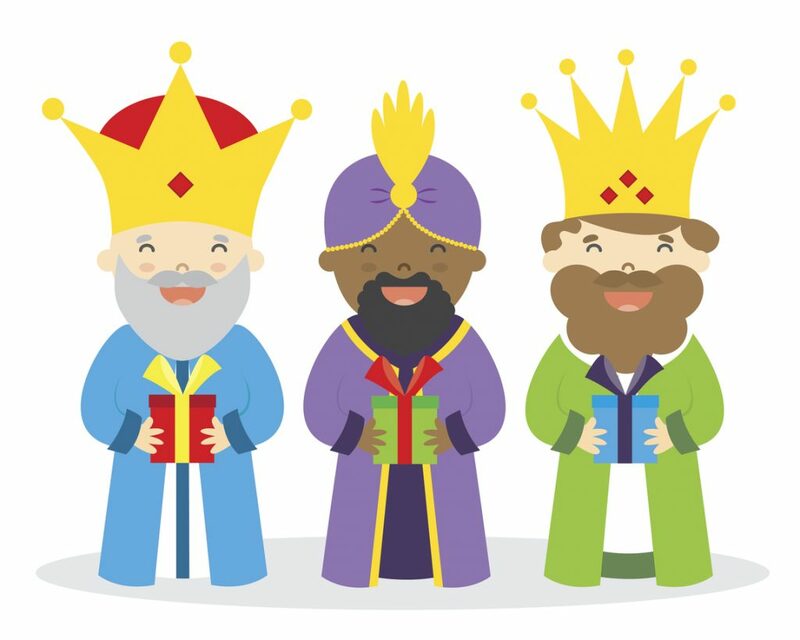 I see three kings and three pretenders. How is 2017 shaping up for property? To me it’s starting to look pretty good. It’s got a bit of extra shine to it. The real estate market is a complex animal, and there’s different things going on from state to state – even street to street! Bur for my money, there are six key themes shaping up for property this year, and where we end up at the end of 2017 will depend on how these factors balance out. As the year opens, three big drivers are suddenly back on the scene, all looking to underpin growth in the market – investors, foreign buyers, and China. Let’s call these the three kings. But at the same time, there are three on-going niggles that could place further drag on the market – bank funding costs, apartment over-supply, and a structural weakening in the labour market. Let’s call these the three pretenders. The year is poised. Let me step you through it so you see what I mean. APRA restrictions in mid 2015 took some of the wind out the investor market, but as 2016 closed, investor lending was picking up strongly, and investors are now well and truly back in the game. 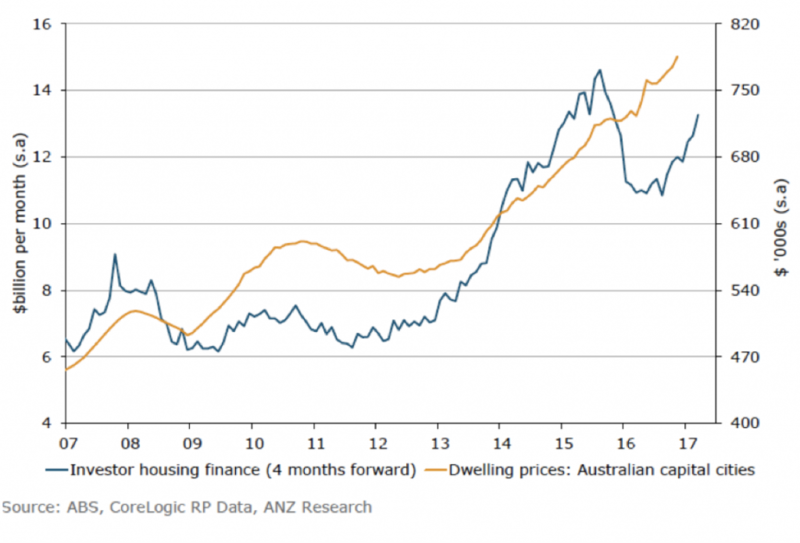 As this chart shows, this is a positive for property prices, with investors helping drive trends in the market overall. This will be a positive for darling markets Sydney and Melbourne, but at some point you’d have to think that investors will think that they can find better value elsewhere. Foreign buyers were a major part of the strong growth we saw from 2013 – 2015, especially strong demand from Chinese buyers. However, as the Australian government clamped down on illegal purchases, and as the Chinese government clamped down on money leaving the country, foreign demand started to falter. 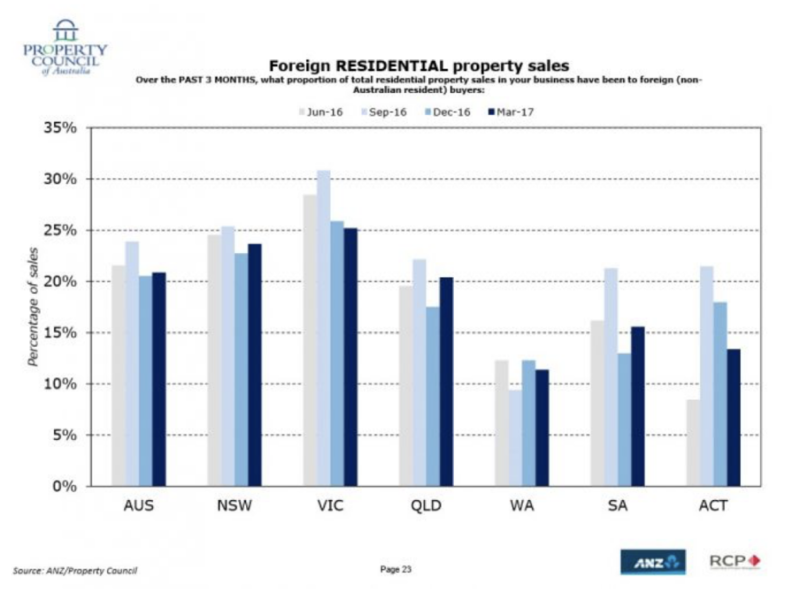 However, foreign interest in the Australian market has picked up over the past three months, driven by renewed buying into NSW, QLD and SA. Victorian buying was slightly lower, but still accounts for 25% of demand there – at least according to the ANZ / Property Council survey. Australia’s economic fortunes are increasingly tied to China, and China (surprising most people) has launched full bore into 2017. It has gone on a building and buying spree – China is currently importing 32 tonners per second of iron ore!! 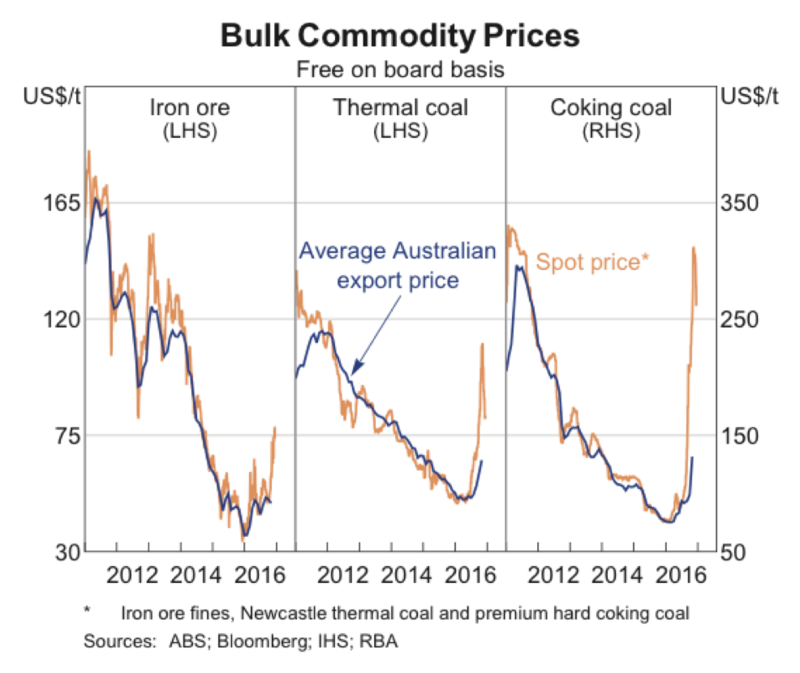 Demand has been so strong that it has pushed commodity prices back to boom time levels. As a commodity exporter, this is great news for Australia. It’s a plus for property because increasing royalties should help state and federal governments maintain their credit ratings, which will keep a lid on bank funding costs. So these three kings have made a very welcome return to the landscape. But it’s not all beer and skittles. There are three pretenders lurking in the shadows, looking to take it all away. Over the past couple of weeks we have seen NAB and ANZ lift their fixed rate home loan rates. Both banks lifted two-year rates by 23 basis points – which is almost equivalent to an RBA hike. The banks claim that funding costs “remain elevated”, as Trump creates uncertainty in the markets and is raising the prospect of a more inflationary policy setting, and a more aggressive Fed. I personally think markets have over-reacted to Trump, and we won’t see the Fed raise rates that quickly, but then who knows. If the Fed surprises us on the aggressive side we could see funding costs rise even further, and Australian mortgage rates will go with them. This one is a slow burner and is slow to give us any read on its direction. We are still pumping out inner-city high-rises, and at some point we have to wonder, who is going to live in them? Brisbane is probably the canary in the coal mine, with the biggest increase relative to existing stock, but NSW and Victoria are tied to the same stone. 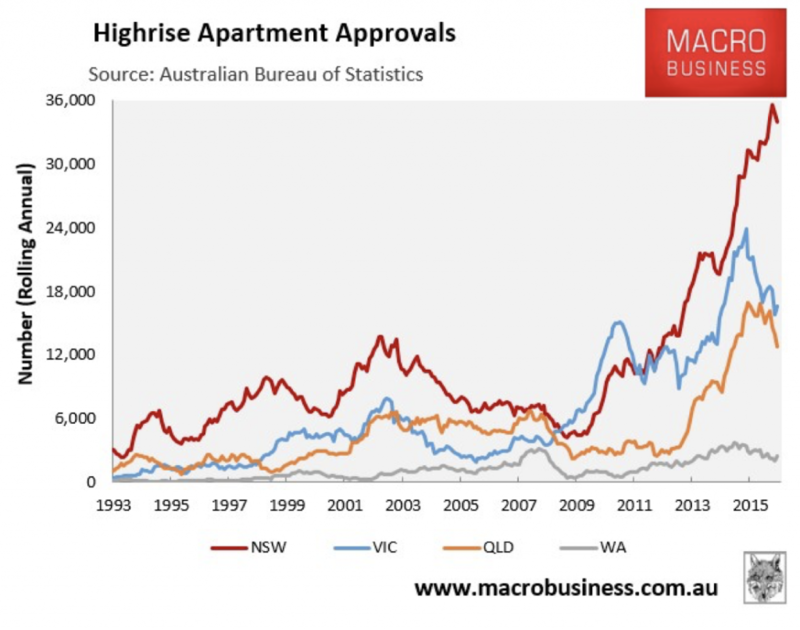 Approvals in NSW are nothing less that staggering. But it is hard to know how this one is going to play out. 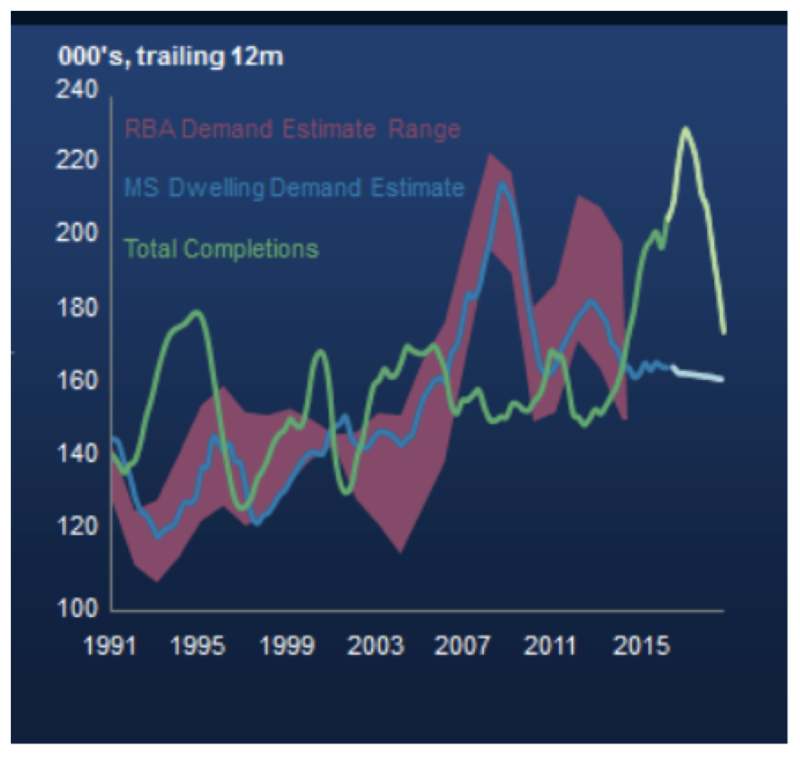 Most measures of supply and demand, like this one from Morgan Stanley, have the market tilting into over-supply now. However, it’s not that clear cut. An inner-city shoebox is not a substitute for a three-bedroom family home in the suburbs. Some segments are clearly over-supplied. Others are not. This remains something to watch. While it’s true that the Australian economy is poised for a strong year in 2017, I don’t think this is going to translate in to labour market strength like the way it used to. I’ve written a few times about how automation and the new-economy, are eating traditional, stable, higher-paying jobs, and the jobs we get in return are less stable and pay lower wages. Take a look at this table. This is from the US. 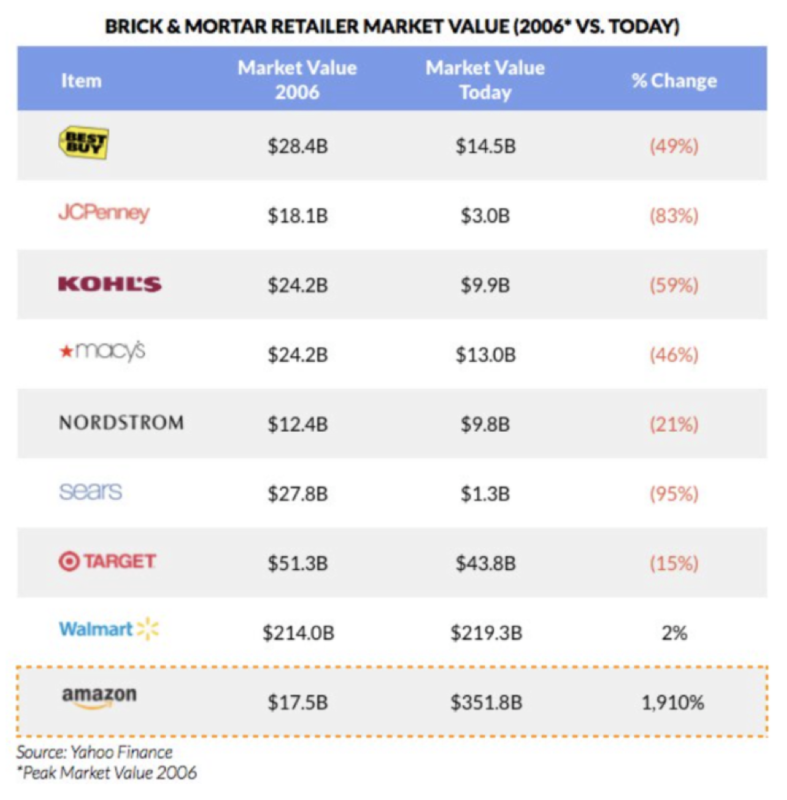 It compares retail sales at the big retailers. Between 2006 and 2016, sales fell anywhere between 15% at best, and 95% at worst. But then look at Amazon. Sales have increased 1,910%!! It’s a brand new world, but a world that isn’t as good at creating jobs. And so even though the prospects for the Australian economy are brighter, we’re going to have to work extra hard just to overcome the erosion caused by this ‘progress’. If we can’t keep a floor under employment and wages, then that will weigh on the property market. So the fortunes for 2017 depend on how all these things balance out. To me, I see it tilted to the upside. We’ve got some solid headwinds behind us. But as always, there are things to watch. What do you think? How will the year play out?